Clinique sale information, discount code and recent bargains. Posted and verified by our community of bargain hunters. Great Deal and Great Saving on This! Clinique is an American company manufacturing skincare, cosmetics, toiletries and fragrances, usually sold in high end department stores. The company was founded by Evelyn Lauder in 1968 and is a subsidiary of the Estée Lauder Companies. It is founded on the philosophy that Great Skin Can Be Created. The company’s story began when its founder Evelyn Lauder, who is the daughter-in-law of Estée Lauder, read an article published by American Vogue in 1967 called “Can Great Skin Be Created?” written by beauty editor Carol Phillips with Norman Orentreich, discussing the significance of a skin-care routine. She bought it to the attention of Estée’s and in 1968, with the help of both Phillips and Orentreich, Clinique was launched to the world in August 1968 as the first dermatologist-developed prestige cosmetics brand that is allergy tested and 100% fragrance free. 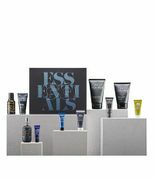 They are also the first prestige cosmetics company to recognise the different skin care needs of men and to provide them with a practical, approachable line of skin care with the line called Skin Supplies for Men. In 2008, the company announced its partnership with the maker of Botox and former cosmoceutical partner of Elizabeth Arden, Allergan. This resulted in their brand new line called Clinique Medical which is only available in physician’s offices. Get beautiful skin with the best and hottest Clinique sales, discounts, offers, discount codes and voucher codes here at Latest Deals posted each month by our community of bargain hunters! You may also want to check out our latest The Body Shop deals and offers! Clinique offers a wide selection of dermatologist-created, allergy-tested, 100% fragrance-free collection of beauty products. Their mission is to be the most trusted Prestige beauty brand in the world, with market leadership and authority in Dermatological Skincare and Foundation. From the very beginning they want their clients to recognise them as the smart choice, always innovating to deliver high quality, effective, safe, Allergy Tested, Fragrance Free products that are designed for living and enhance her natural beauty, every day. How do I contact Clinique? Use their Store Locator to find the nearest store in your area. For general questions and enquiries you can use their Online Contact Form or find answers on their FAQ page. If your enquiry cannot be answered by the FAQ's, you can email them at infocl@clinique.co.uk. You can chat directly with one of their customer service team using the Chat Live button on their website. You can call Online Customer Services on 0800 054 2666. 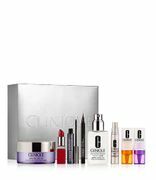 What are the delivery options for Clinique? Cost: Free Standard Delivery with any purchase. Delivery Time: Choose your day of delivery from the available dates, Monday to Friday, subject to availability and excluding public holidays. Delivery Time: Orders must be placed by 3pm for next 'working day' delivery. Delivery Time: Orders must be placed before 3pm for delivery by 1pm the next ‘working day’. Delivery Time: Orders must be placed by 3pm on a 'working Friday' to guarantee Saturday delivery. If the order is placed after 3pm, it will be delivered the following Saturday. Delivery Time: Delivery will be within two to five working days of placing your order. You will receive an email to tell you when your order is ready to collect from the store. For more information, check out their full Delivery Information page. How do I return an item to Clinique? You may return any item in its original condition for a refund within 14 working days from delivery. Within the order packaging, you will find a Returns Note with details of your order together with details of their returns process. Alternatively, you can use the Cancellation Form to cancel an order. If you return items for reasons other than defects in the goods, or incomplete, or incorrect delivery, you will be required to arrange and pay for the return of the items. Make sure to obtain a Proof of Postage when you return the goods. If a refund is required, they will refund the price you paid for the goods including the initial standard delivery charge but not the additional cost of any premium delivery option that you chose within 14 days of receiving the returned goods to at their distribution centre after you have notified their customer support. If you returned the goods without notifying them of cancellation, they may withhold payment of any refund. For further detail, read their full Returns and Exchanges Policy. Whether you want to experience instant makeovers, learn healthy skin how-tos or try pretty easy makeup, their expert consultants are there to treat you. If you're interested, you can book an appointment on their website. Just in time for music festival season, get this easy look. Lightly apply Even Better Makeup SPF 15. Bronze forehead, nose and cheekbones with Sun-Kissed Face Gelee Complexion Multitasker. Line upper lashline with Pretty Easy Liquid Eyelining Pen, starting from the outer corner, then connect the liner from the inner corner. Blend Lid Pop in Cocoa Pop all over lid. Apply Lash Power Mascara to top and bottom lashes. Dot Clinique Pop Oil Lip & Cheek Glow in Rose Glow onto lips.